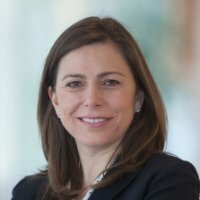 Nora Gardner is a Partner in McKinsey’s Washington, D.C., office and the leader of the intersection between McKinsey’s Organization and Public Sector Practices. She led development of McKinsey’s Talent System Assessment Tool (TSAT) and has expertise in human capital, leadership development, human capital analytics and organizational change. She serves clients across the public, private and social sectors. Nora holds a Ph.D. in Biochemistry from Duke University and a B.S. in Biochemistry from North Carolina State University. Prior to joining McKinsey, she held post-doctoral fellowships from the American Cancer Society and the American Association for the Advancement of Science. She is married and has two daughters.